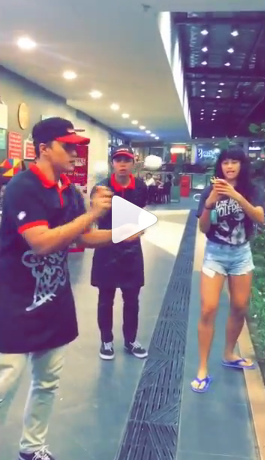 Amy Ahomiro and Rookie Deana Wong Having Fun: Watch Their Instagram Video Here! IG Scoop: The 5'7 rookie setter of the Ateneo de Manila Lady Eagles, Deana Wong's dexterity and sharp eyes were tested by by Amy Ahomiro as she asked the rookie to catch a huge scoop of ice cream using a small cup. She got it!